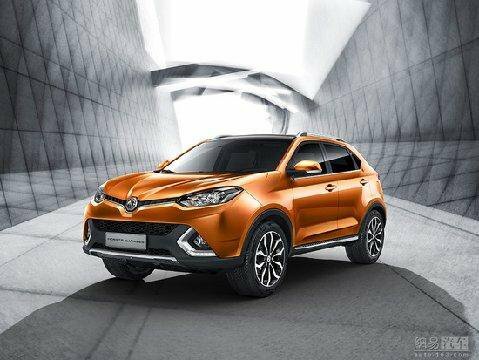 2016 MG GS SUV - First details, pictures and engines | What Car? **The MG GS is the company's first ever SUV. Previewed by the CS concept at the Shanghai motor show back in 2013, the five-seat SUV is due to go in sale in UK in early 2016. The first official pictures of the car show a clear family resemblance to the recently introduced MG3 and MG6. Styling work has been collaboratively completed between the company’s Chinese and British design teams. At 4500mm in length, 1855mm in width and 1675mm in height, the GS is 73mm longer, 46mm wider and 8mm lower than the Volkswagen Tiguan. The GS rides on a new SUV platform developed in partnership with parent company SAIC which is scalable and could potentially be used for bigger models. It boasts a wheelbase of 2650mm – 46mm longer than that of the Volkswagen Tiguan. One engine is confirmed for the GS. The all-new 2.0-litre four-cylinder turbo petrol engine delivers a claimed 217bhp and 258lb ft of torque. A six-speed dual-clutch automatic gearbox is pencilled in for launch, with a choice of two- or four-wheel drive. Engines likely to follow later are the 1.5-litre four-cylinder direct-injection petrol engine already used in Chinese MG models, as well as a 1.8-litre diesel. It's too early for details of trim levels or pricing, but MG3 and MG6 models are well equipped so it is likely the MG GS will follow suit. No pricing details have been disclosed. MG3 and MG6 models are very competitive with segment rivals. With no list pricing confirmed, it's too early to discuss discounts.